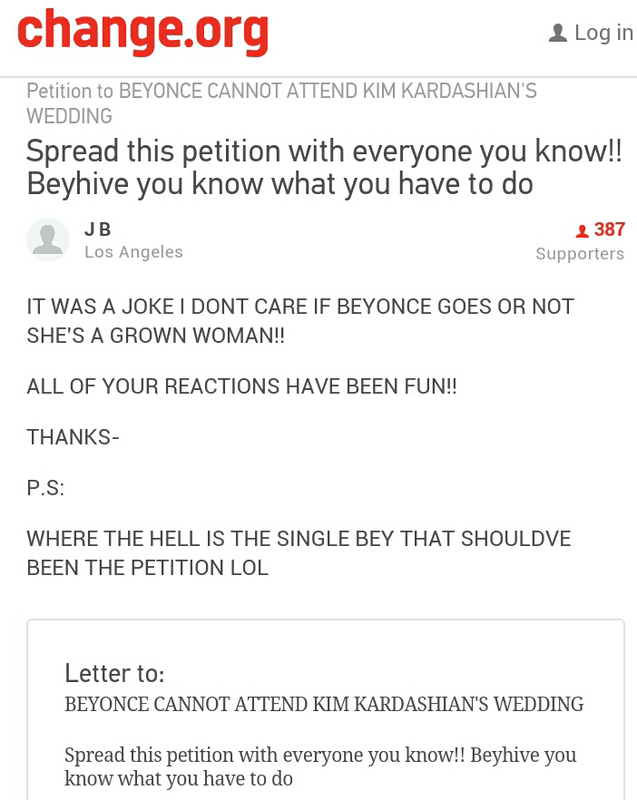 Na wa oh,people really hate Kim Kardashian...A Change.org petition entitled "BEYONCE CANNOT ATTEND KIM KARDASHIAN'S WEDDING" was created earlier this week by a man named John Barry, asking for fans to sign and spread the word against Queen Bey attending the Kimye wedding. 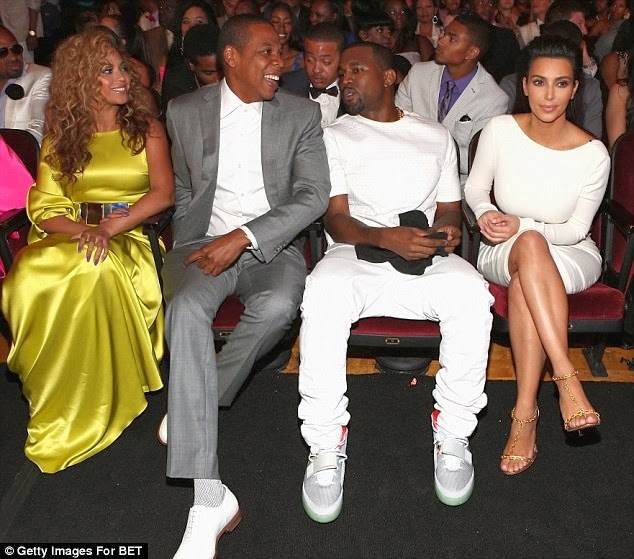 "As you all know by now Kim Kardashian and Kanye West have sadly been in the news for their 'engagement. "Kim Kardashian and her disgusting family are known for their rise to fame for doing absolutely nothing... Now we must do all in our power to stop Beyonce from attending that god forsaken wedding, since her husband Jay Z is BFFs with Kanye he problaby wants both of them to go..."
"Your[sic ] Beyonce you always have something better to do than to attend a Kim Kardashian wedding,"
By Saturday, the petition had received more than 300 signatures in support. However, the creator eventually pulled it down saying it was all just a joke. Make them leave Kim alone o.